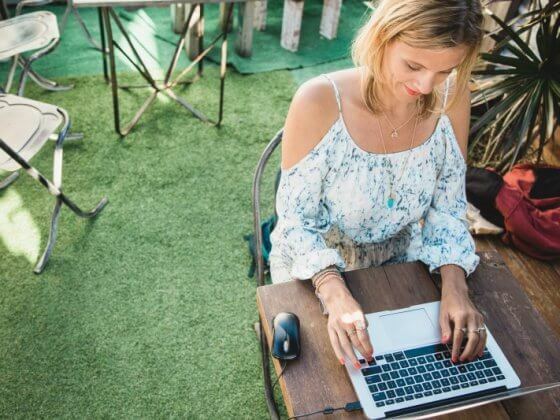 I’ve spent the past few weeks preparing for my talk at the TBEX travel blogging conference on how to build a loyal community through email marketing. 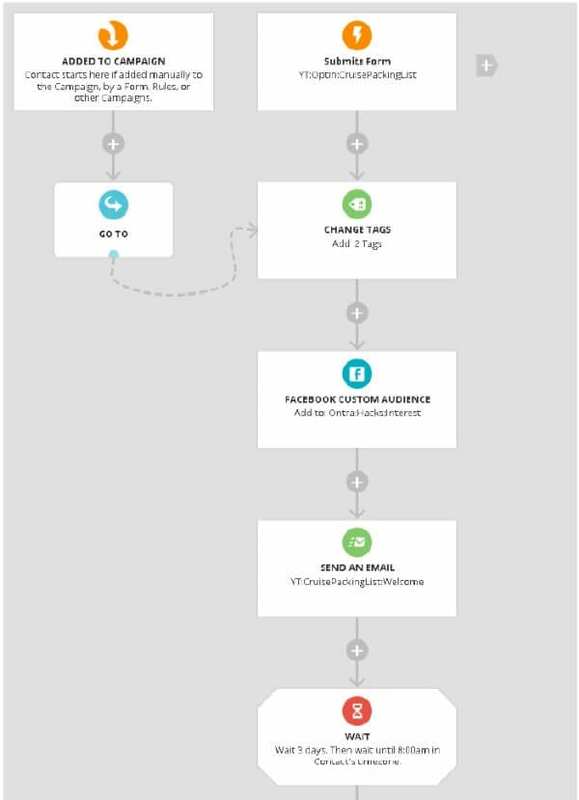 Ontraport has been my email marketing automation software tool now for nearly five years. It was a giant leap for me to move from the restrictive MailChimp over to Ontraport due to the large increase in my monthly subscription fee. But, I knew I was in business, which means you invest in the right tools to help you maximize leverage and scale. MailChimp couldn’t do it for me. If I was serious about email marketing and business growth, Ontraport was the marketing service that would help me get there. 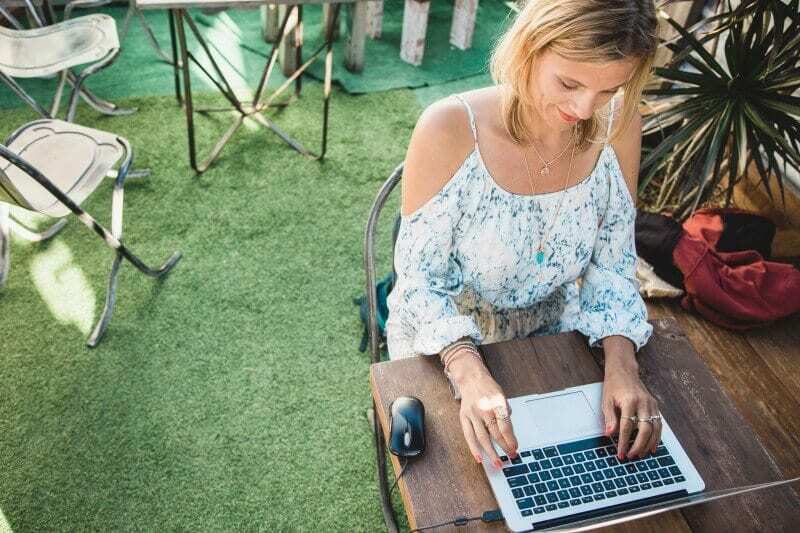 It was time to perfect my email marketing strategy and use this powerful tool to stand out from the crowd and grow my business. I had to make the expense justifiable by using it to bring good returns. Yes. It’s a risk because you could fail and not bring in any income making that a very expensive tool that drains your resources. However, business growth does not come without risk, and whether that risk ends in a positive or negative result all depends on you. Thanks to the exciting nature of my travel blog business, I’m required to travel a lot so I can only do so much. I’m working on mastering the basics and adding in more complex things when I can. Ontraport is not a perfect system. It can be at times, frustratingly buggy, but I’m still here because I can handle those bugs for everything else it does for me. 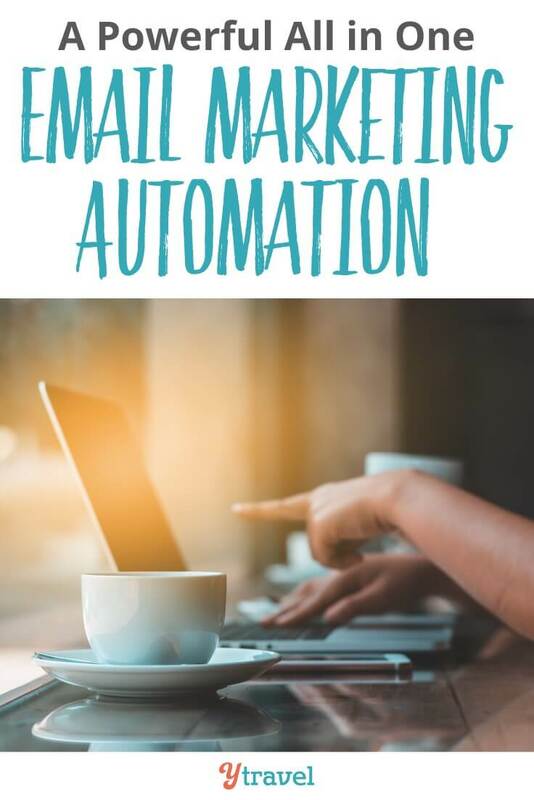 Most email marketing software companies are going to be a bit buggy as you are dealing with pretty complex automated actions and algorithms. Preparing my talk has inspired me to write this Ontraport review. Yes I am an affiliate of them. I only align with products I know, like and trust. And with Ontraport, it’s a long term love. I hated using Mailchimp because of their limitations when it came to creating optin forms (amongst other things I hated about it). Mailchimp may have changed by now. It’s been a long time since I’ve used it, thank goodness. I can create optin forms to embed in a post, a site wide pop up, or via a clickable link that opens up like a pop up. Leadpages charges an obscene amount each month to do this. Use Ontraport and you’ve just wiped out that expense of around $60 a month. And if you are new to our site, when you make an intent to leave (that is head towards the back button or X, an optin pop up asking for your email address will appear). Again, you could pay other tools to create something that does that. With Ontraport you can do it in a matter of a couple of minutes. I was making this huge mistake with our subscribers. We have a wide range of readers, some who are interested in family travel, some in solo travel, and some digital nomad lifestyle. That way I only send new posts to those who are actually interested in that destination. That is being useful, which is a huge component of building a loyal community. 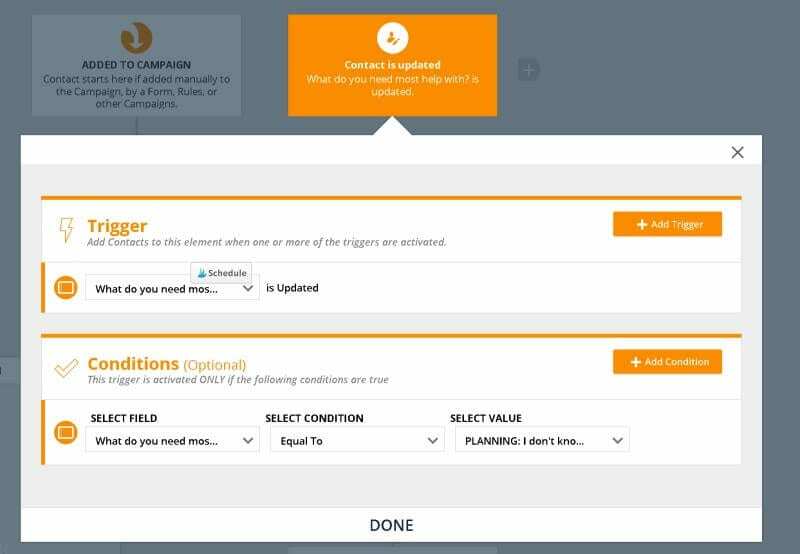 Campaign mapping is relatively new to Ontraport. 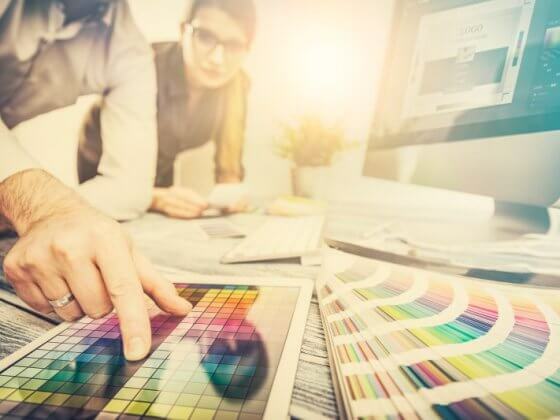 It’s an example of how this company is always evolving and creating ways to stand out in the email marketing software industry. 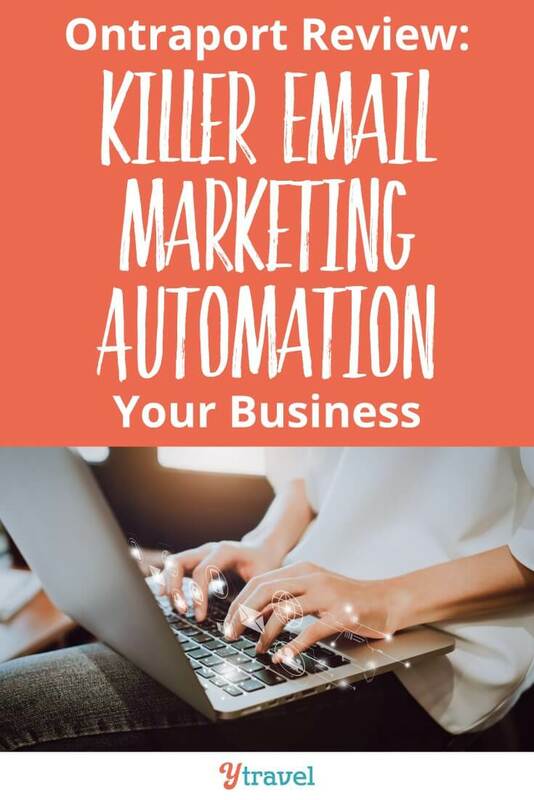 Instead of having rules and messages scattered in a million different places, which you can easily lose track of, this puts it all into one place and helps you become systemized and be become better at leverage and scaling with your email marketing automation. It helps funnel your subscribers through an easy to follow system, which leads to more leads and sales. Ontraport integrates with Facebook audiences seamlessly. 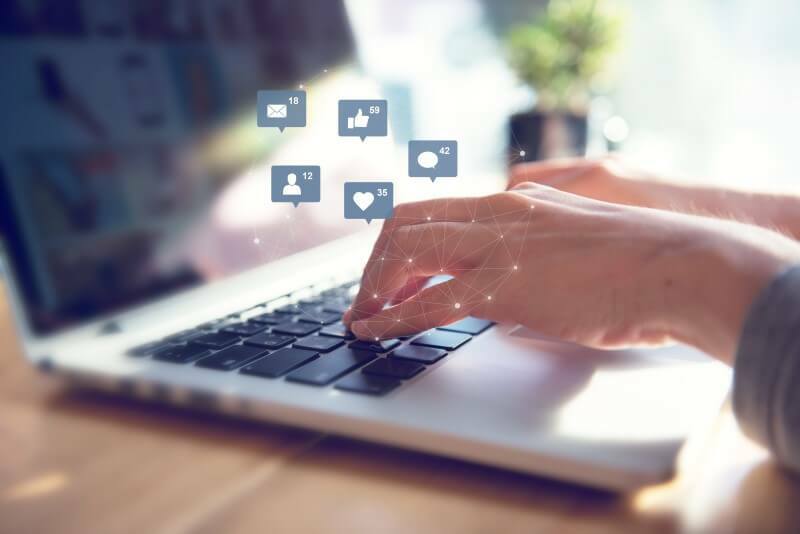 It’s an easy set up to create your Facebook audiences based upon your email segmentation lists (however you want to do it). You do not have to manually update your email list into Facebook every couple of weeks or so to keep up with your email list growth. You set it up once via Ontraport and Facebook API’s and then it’s all automated from then on. Ontraport also comes with its own landing pages, called Ontrapages. You can create an entire website using just Ontraport. I prefer to stick with the WordPress system. 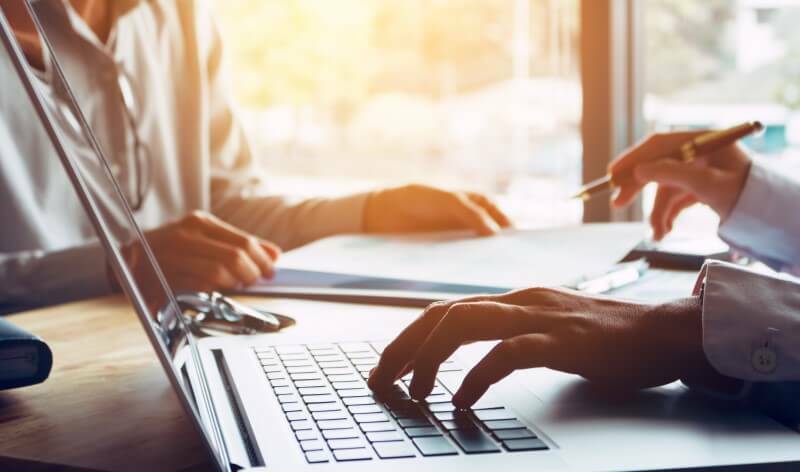 Although I know Ontraport are getting ready to launch their new and drastically improved Ontrapages, which will make it even more of a standout and possibly a great option for people who don’t want to use WordPress. I like the landing pages because they help me quickly whip up landing pages I need for various optins, order forms and thank you pages. If I did them on my own site, I’d have to get it custom built which would be super expensive. I can easily add videos, downloads, images and links to resources on my site. The best thing is that I don’t have to build a landing page from scratch whenever I need one. I can simply copy any landing page I have already created and liked. Then I slightly tweak it to suit whatever new landing page I need. I can have a landing page up and published in a matter of 10 minutes sometimes. You can host the landing pages using Ontraport servers or I can integrate it on your website, using the Ontrapages plugin. So even though its designed and hosted through Ontraport it has the ytravelblog.com URL and looks like it belongs on our site. It is not as sharp and clean as it would be if I had them custom designed on my site, because the branding and style is not exact to my style, but it is good enough considering it doesn’t cost me any extra, particularly in custom design. As mentioned, the improvements (I’ve had a sneak peek) will make it that much better. See more about Ontraport pages here. Ontraport is also a contact management system, which is handy for those who offer services and manage bookings and meetings etc. 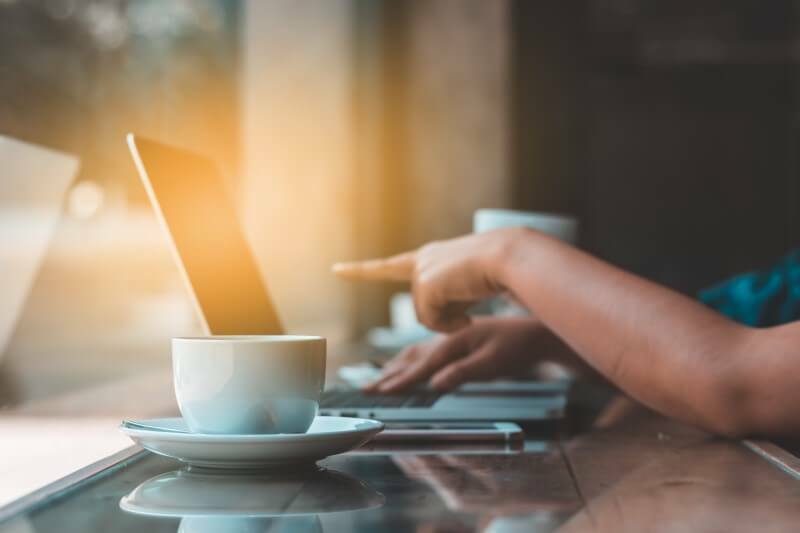 Again, there are tools within Ontraport to automate all of that and keep you on track with the tasks required to follow up with your clients (potential or otherwise). It’s not something I’ve needed to use just yet so can’t dive into that for you. 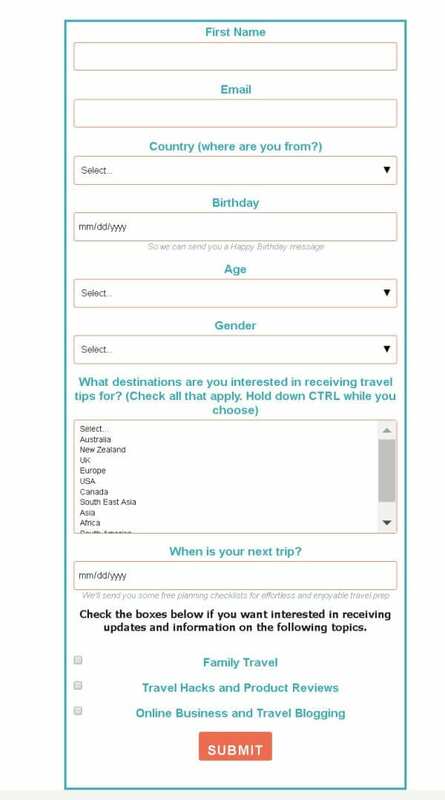 I definitely want to start using it more for our tourism clients and it is the next system for me to create instead of having them floating around in my gmail inbox. So many of them are asking the same old questions and you can’t keep up with all your canned responses. You can hire a VA to take care of it, or you can simply automate it. 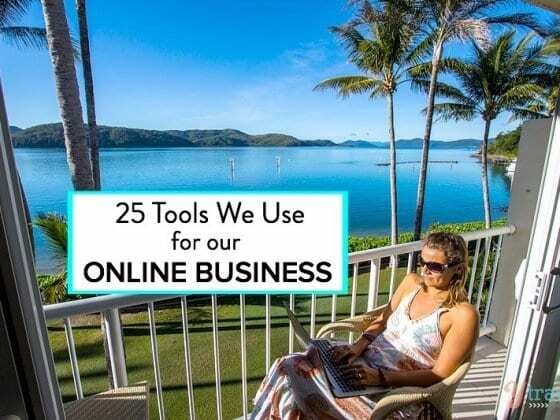 My favorite system I have managed to put together using Ontraport has saved me hours of email inbox time and and reduced my need to hire a VA. I was STOKED when I figured out how I could use Ontraport to automate my inbox! 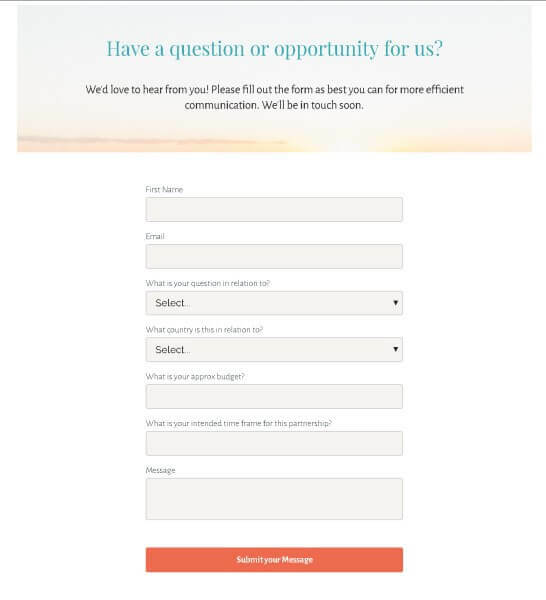 I’ve simply created an optin form through Ontraport with specific fields related to why they are contacting me. I have a series of rules that connect to what their selection is, which then sends an automated response that is related to that reason for contacting me. The automated reply gives them all relevant information related to their question and they are advised of the next steps in contacting me. 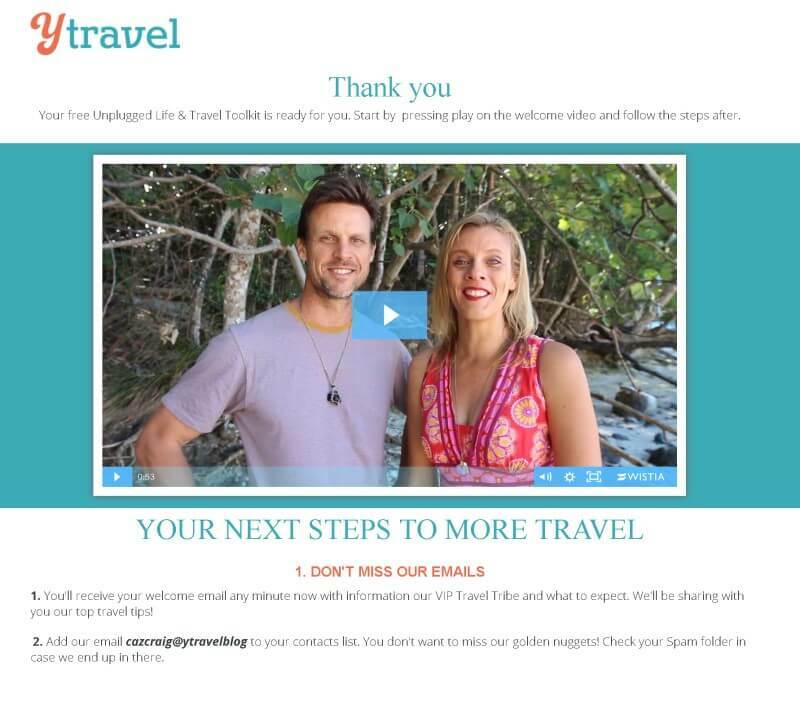 If it is people asking for travel or blogging advice, I send them directly to all the information on our site, letting them know that we don’t give personal advice and inviting them to also join our VIP email list. I get a notification of each new contact request. I can quickly scan it to see if it is relevant. I delete 90% of them straight away. I don’t have to attend to it as my automated email has already taken care of that. It has given me back so much time, eliminated frustration, and removed the need for a VA to handle my emails. All of which saves me money and helps me make more money. It’s best that you clear your cache and click this link to sign up when you are ready. That way I can be sure you’ll be assigned to my link and you won’t miss out. Just send me an email when you have done that (cazcraig [at] ytravelblog.com), and I’ll get the instructions to you. It is a bonus thank you for those who sign up via this affiliate link though. If you aren’t linked to my name, I can’t do it, so please cleared the cache first and then join immediately. You can also peer into the future and see how certain changes may affect your subscriber and conversion rates. You can easily score your leads depending on how hot and cold they are. The customer service with Ontraport is second to none. They greet you by your name, they spend time with you, they help you troubleshoot and set up systems. I adore their customer service team. They’ve been so great with calming me down when I’ve been frustrated and annoyed, which will happen when you are dealing with technology and software. It doesn’t always work the way you want it to. I was so frustrated at one point a couple of years ago that I was going to leave Ontraport. One of the managers, Brendan was amazing on the phone to me with how he managed me and calmed me down. It completely changed my perspective. I’m going to quit wasting time and money not understanding this tool and go to thier Bootcamp to learn how to do I properly. OMG. Total gamechanger. I am now a devout and loyal Ontraport user. Unless this company goes bankrupt, which I doubt, I will never leave them! I highly recommend you attend a bootcamp as soon as you sign up. When I first joined Ontraport, I used a VA to set everything up and take care of implementing my strategy. As soon as I saw the power of the tool, ideas started firing off in my head like firecrackers on New Years Eve. I could easily see what I could do with it to help grow my business. Before that I was just walking around in the dark. Because I bought my Ontrapalooza tickets for this year at last years conference, I got bonus free tickets to bootcamp. So I’m going to go for a refresher and I have booked an extra two days to do the certification course, which means I can be a certified consultant for Ontraport. I don’t really want this to be another arm of my business, I just want to attend to learn more about the complex things you can do with the system. 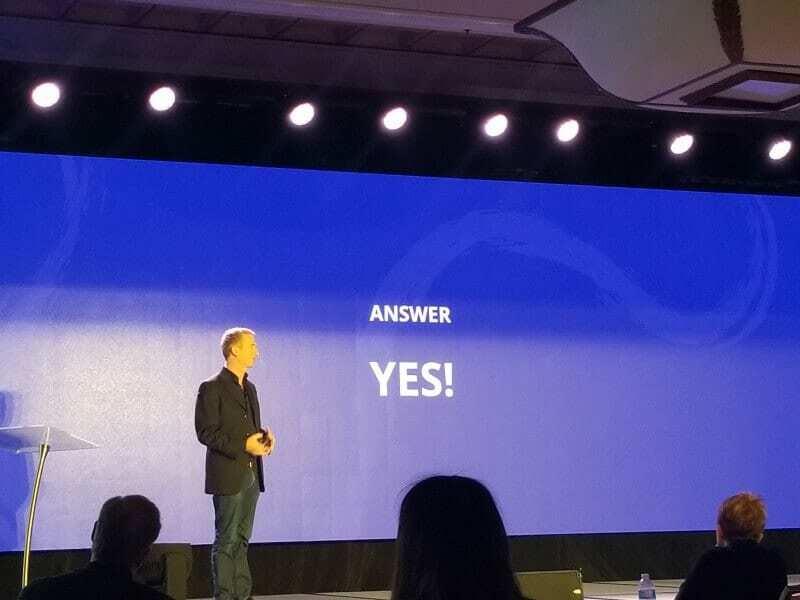 I consider Ontraport to be my CEO, so I better get on board with its power and make it get to work! Often I leave conferences with a huge pile of notes and action steps, but end up feeling lost and confused as to how to make it happen. There are workshops to show you how to do it, so you can implement immediately. 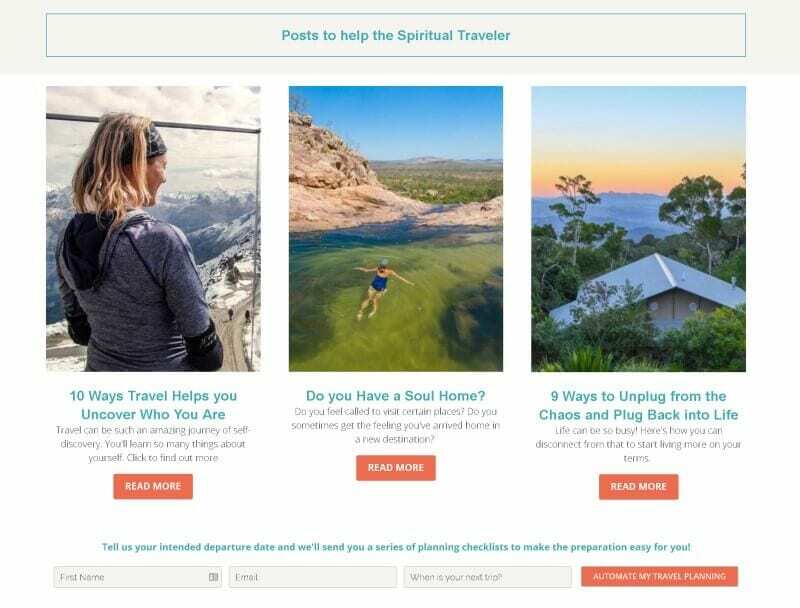 Only a few months after the conference, I had a Facebook ad strategy in place (that works), I had a separate travel writers group set up through my system, and I had a new self segmenting email series implemented as well as a few other tweaks and refinements. My ROI automatically went up as a result. Here’s a story that showcases how caring he is to his community. At the awards party, he was chatting with a new friend of mine. He noticed a gentleman standing by his side for some time. I saw him leave my friend and walk over with a big smile, shook the man’s hand and talked to him for some time. That’s quality treatment and rare to see from CEOs. I purchased a ticket for this year’s Ontrapalooza (next month) at the conference, which Craig and I will attend. With my uncertain lifestyle, booking anything more than six weeks in advance is very rare for me. Ontrapalooza is the only conference I’ll make that commitment to. Good stuff, Caroline. Any ideas on how to use referral marketing for gaining for subscribers for our weekly newsletter? I have not heard of Ontraport before so I will have to check it out. Sorry we will miss you at TBEX. It sounds like you will have some awesome info to share with everyone. We were just at the TBEX conference in Ostrava, Czech Republic and it was so amazing to connect with other travel bloggers. Oh what a shame you won’t be at this one. Maybe at another one somewhere next year! Great! Looks useful and user friendly too. I had a rough idea about it though…thanks for the details. Cheers! That’s too cool. Thanks for sharing …was really looking for something like this. I agree with Simon. 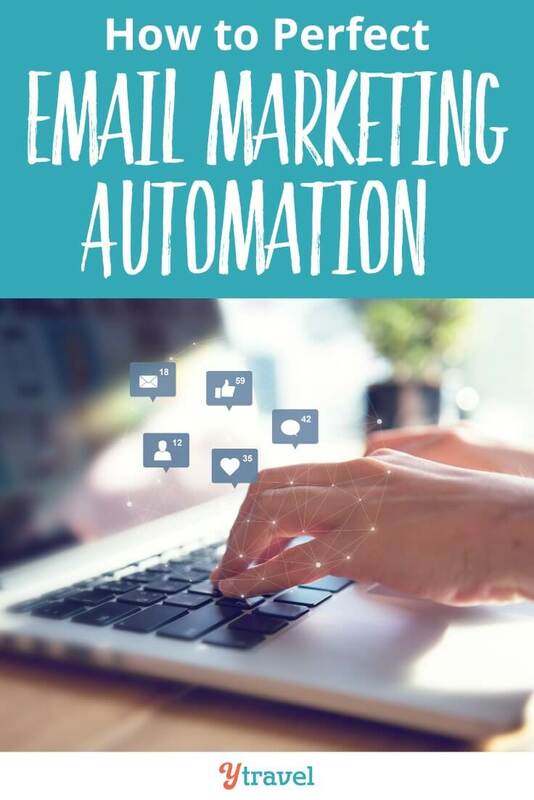 Email marketing is one of the essential tasks for your business, is being transformed by automation in profound ways. 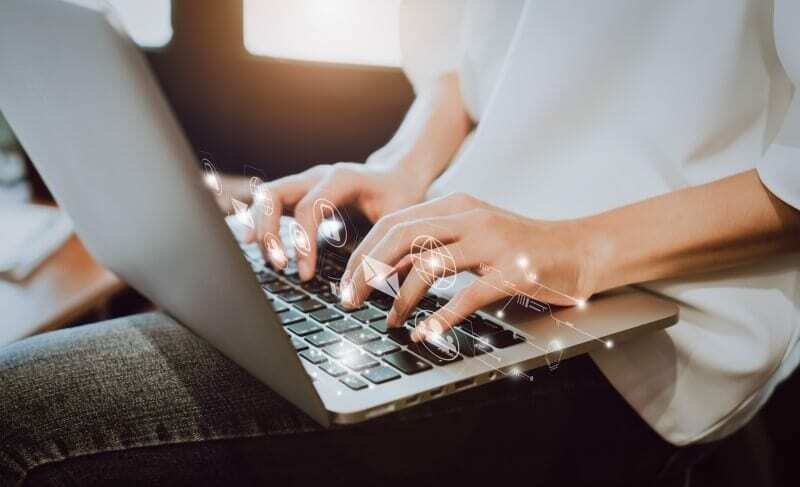 Hence by leveraging useful marketing automation software products, your marketing team can get a leg up on the competition. I have not heard of Ontraport before so I will have to check it out. I will give it a try. I am using EasySendy now, and that too after having used Marketo, HubSpot. It allows me to schedule and deliver email campaigns according to my subscriber’s time zone.